With thanks to brothers Trevor and Colin Hargreaves for providing the scans and notes. William Hargreaves by the Fountain, where he sat during the War. Wood Top Farm (not Hill Top Farm as it says on the photo). 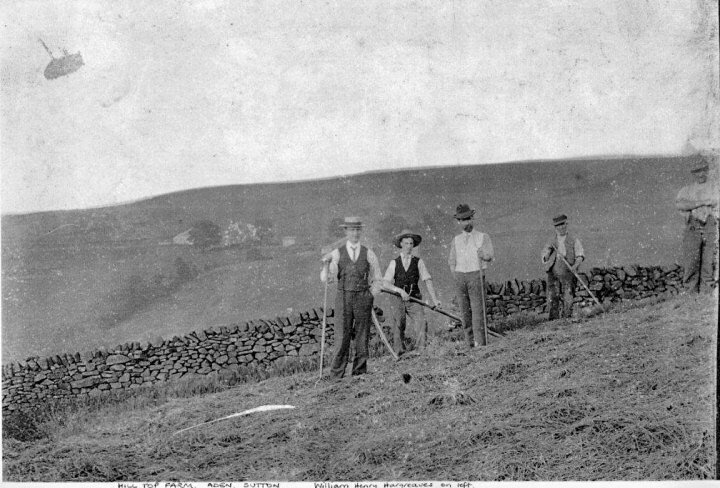 I like the photo of the men working in the field up at the farm. My grandad William Henry is said on the photo to be the one on the left with the boater, but I think he could be the one second from the left and it looks as though Great Grandad William could be there too with his beard second from the right. I wonder who the others were, one a brother maybe. I've no idea where the group shot was taken. 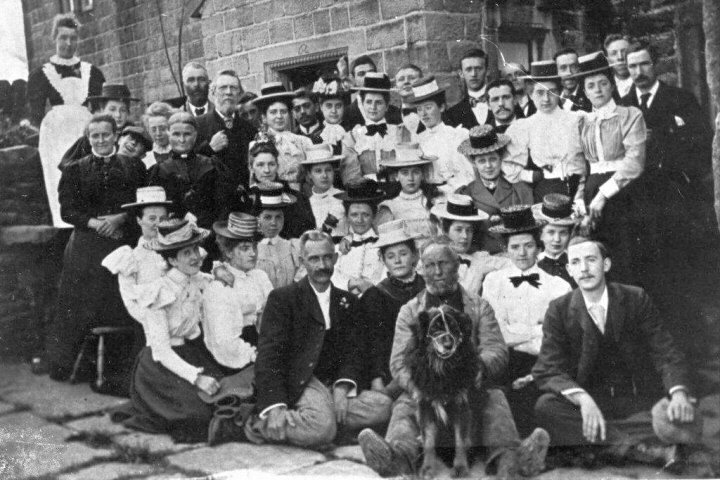 When I spoke to my dad about it some years ago he thought an ancestor was on it, the lady in the middle row, in black, second from the left, and I certainly think it could well be Great Grandma (William's wife). She looks pretty stern but most did from that era and had to keep quite still during photo taking. 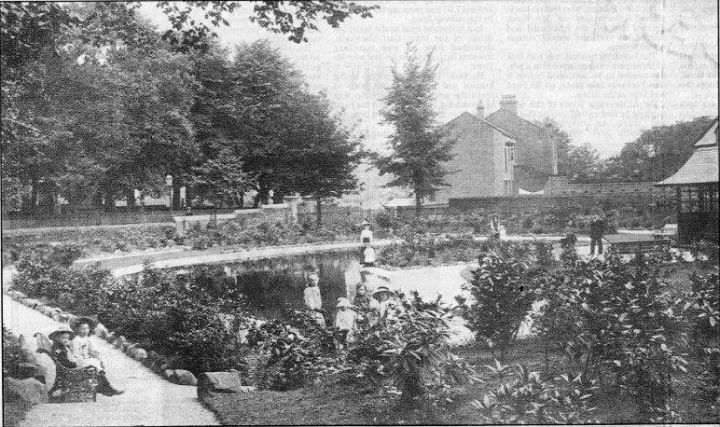 This photo of the two girls in Sutton Park near its opening in 1912, featured in the Keighley News in January 2005. 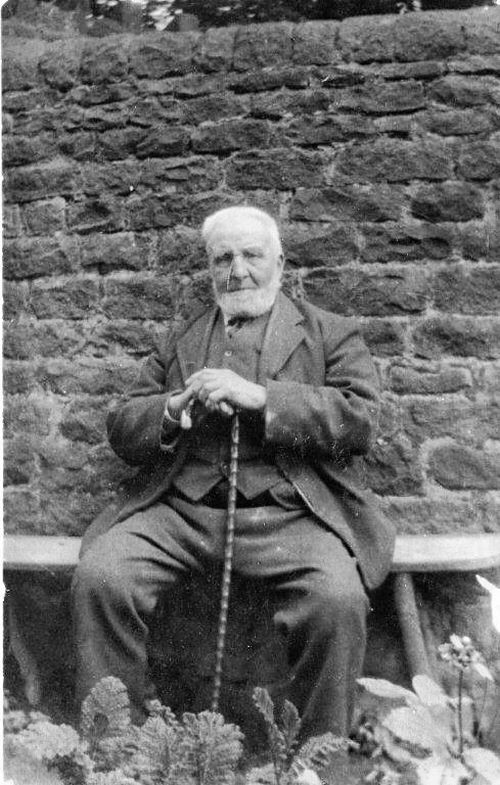 One is my Auntie Hannah, a daughter of William Henry.